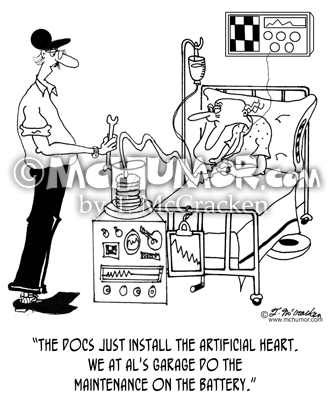 Medical Cartoon 7481: A mechanic saying to man in hospital bed rigged up to a machine, "The docs just install the artificial heart. 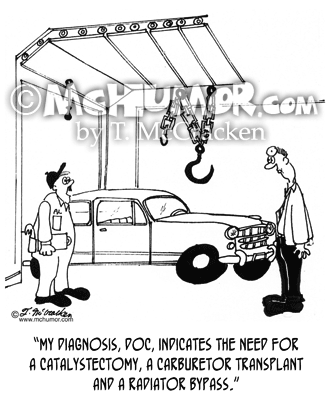 We at Al's garage do the maintenance on the battery." 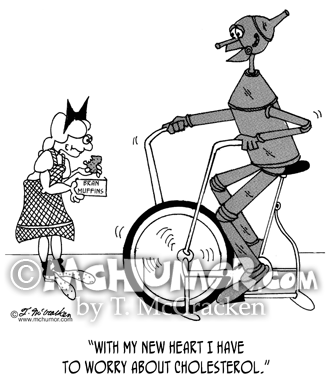 Health Food Cartoon 5193: The Tin Man on an exercise bike saying to Dorothy who's bringing him bran muffins, "With my new heart I have to worry about cholesterol." 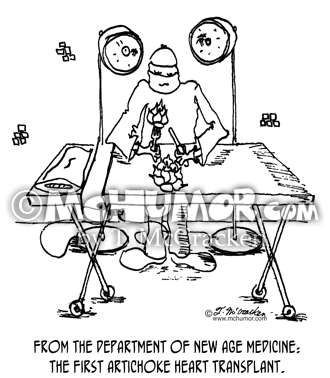 Medical Cartoon 1061: Surgeons implanting a vegetable in someone. 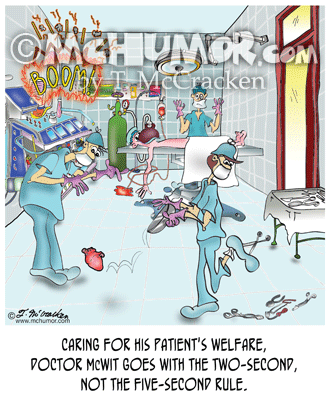 "From the Department of New Age Medicine: The First Artichoke Heart Transplant." 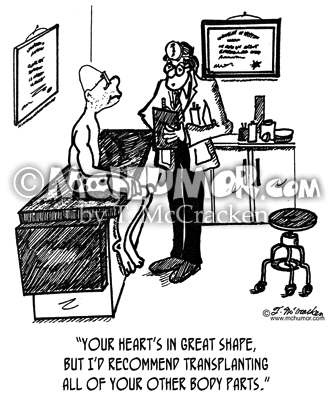 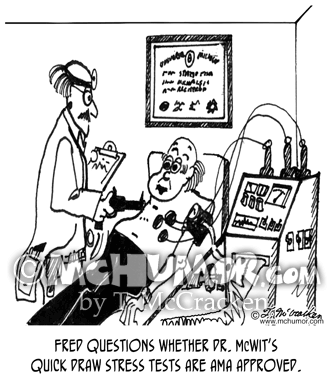 Doctor Cartoon 4075: A doctor says to a patient, "Your heart’s in great shape, but I’d recommend transplanting all of your other body parts." 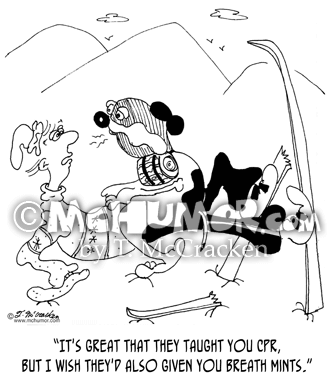 Skiing Cartoon 6955: A skier gasping for breath as a rescue dog nuzzles him saying, "It's great that they taught you CPR, but I wish they'd also given you breath mints." 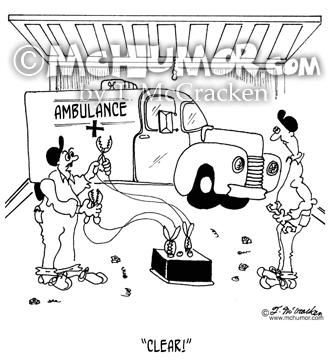 Battery Cartoon 6942: A mechanic using jumper cables on an ambulance yelling, "CLEAR!"